Mr. Hahn will be making his movie directorial debut when he takes on China Miéville's "King Rat" next year. Joe was given the book by his agent and he bought the rights to the movie in September 2003. Joe worked on special effects for 'X-Files', and the short series 'Dune'. 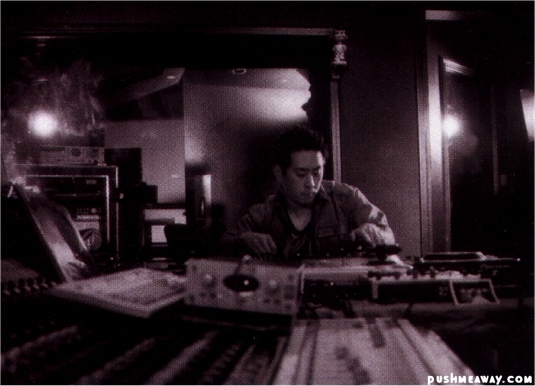 Mr. Hahn has directed 9 music videos so far in his 3 years in the music industry. Joe came up with the idea for the One Step Closer video. It was filmed in an abandoned subway tunnel over 60ft under Los Angeles. LP's most successful single and video, In The End, was a brainstorm of Joseph Hahn. The weather changes with each emotional change in the song, from a downpour during the chorus which is laden with heavy riffs, to a beautiful sunset during the piano near the end. The video features a flying whale named keiko (kee-ko), rapidly growing grass and moving statues. Joe directed the video for Papercut also. It was released only in the UK as a thank you to their European fans. The video has many special effects, such as moving pictures, odd creatures, and overgrown fingers. Joe helped direct and create the POA video for the single off reanimation. The video is basically a big robot war with a final fantasy vs star wars theme. The video is quite possibly the most high-tech music video in history. He has an alter-ego know as "Remy"